complies with revised MARPOL 73/78, ANNEX V as amended by Resolution MEPC.201(62) & 33 CFR Part 151- entries for 60 days for "manned oceango­ing ship" 40+ feet in length engaged in commerce and either document­ed or using state registration numbers to maintain a written refuse record book. does not apply to recreational ves­sels or public vessels. 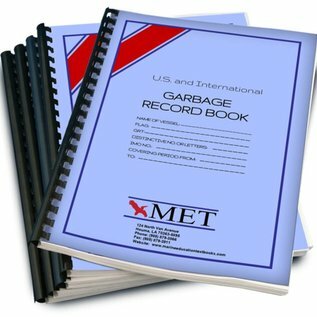 33 CFR 151.55 requires each "manned oceango­ing ship" 40+ feet in length engaged in commerce and either document­ed or using state registration numbers to maintain a written refuse record book. However, this does not apply to recreational ves­sels or public vessels. 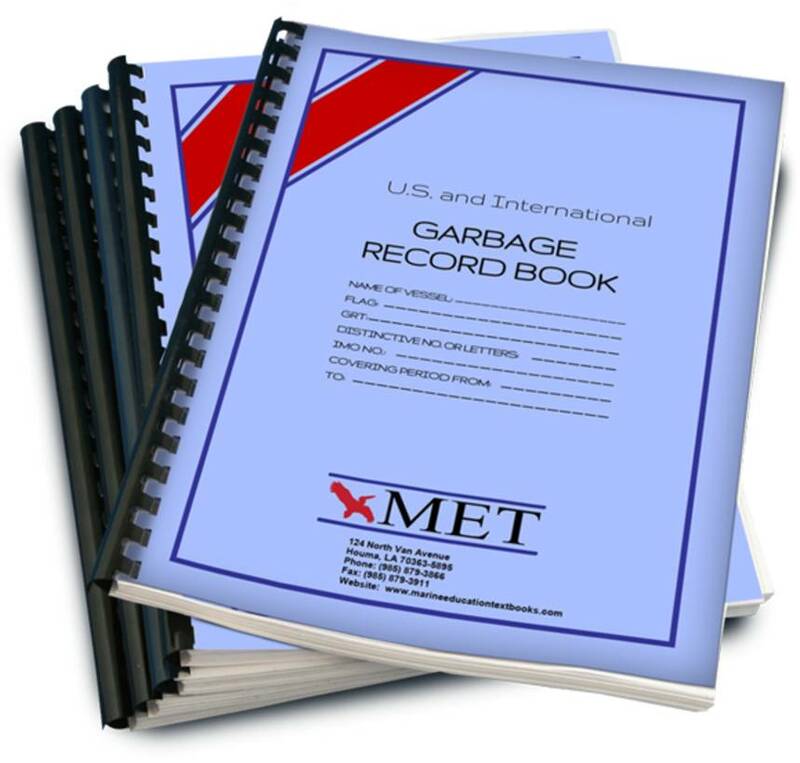 The Garbage Record Book contains complete in­struc­tions, a list of garbage pollution regulations, a series of informa­tive Q&A, and 60 reporting pages.